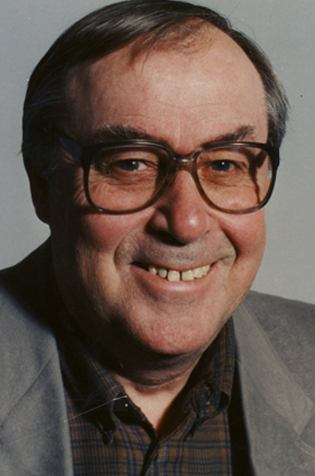 Hal Sigurdson, also known as “Siggy”, was born in Churchbridge, Saskatchewan and started his sports writing career with the Winnipeg Free Press in 1951. Sigurdson began covering the Winnipeg Blue Bombers in 1957, the same season Bud Grant began coaching for Winnipeg. Hal followed the Blue Bombers through their golden years, and skipped to Calgary in 1964 where his allegiance belonged to the Stampeders. Then it was to Vancouver for a spell and back to the Winnipeg Free Press in 1976, where he was a sports columnist with always a good word for the Canadian Football League. Hal “Siggy” Sigurdson was inducted into the Football Reporters of Canada section of the Canadian Football Hall of Fame in 1994.